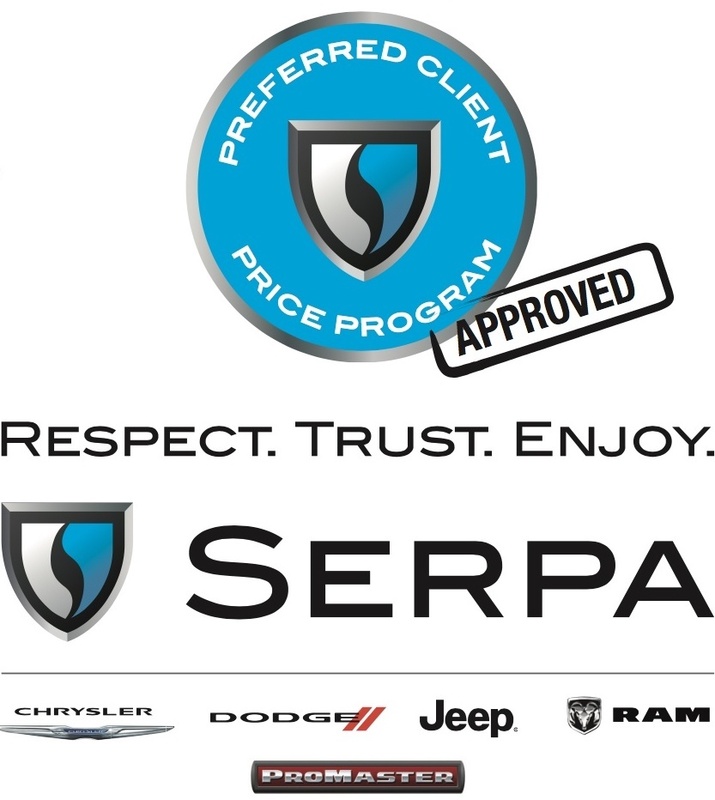 The Serpa Automotive Group has created something very special for you and your company: the Serpa Preferred Client Price Program. For more than 20 years, the Serpa name has stood for the industry's best pricing and this offer is our best ever. It's available across the entire lineup of exciting Chrysler Dodge Jeep and RAM vehicles. The Preferred Client Price, combined with current incentives, can reduce the MSRP up to tens of thousands of dollars. Yes, tens of thousands of dollars! This is our way of saying, "Welcome to our family"
And family always receives preferential savings. By submitting your email address or phone number, you allow us, Serpa Chrysler, to include you on our contact lists to send you information about our products, services and promotions. You may revoke consent at any time by clicking on the "Unsubscribe" link in your email.